A young Arbroath woman is on a mission to get young people talking about their feelings. 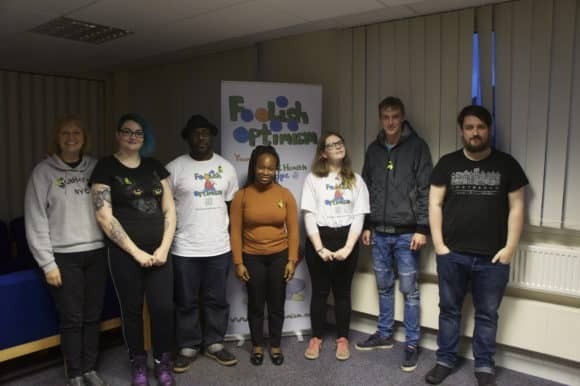 As part of the ‘Foolish Optimism’ roadshow, which is currently touring Scotland following the release of the film of the same name, Leigh Addis (26), a member of the Foolish Optimism working group, met with a range of Angus charities and young people yesterday (Tuesday 20 November 2018) to discuss the topic of mental health. Leigh, who suffers from Borderline Personality Disorder (BPD) and anxiety, has lived with mental health problems most of her life, as has her mother. 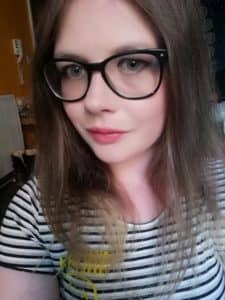 After leaving Arbroath Academy eight years ago, Leigh’s mental health worsened during college and has largely been unable to work since. However, Leigh is keen to stress that there is help out there, and that talking to others can make a huge difference. After watching the film, which was launched in Dundee last month, the group discussed the topics raised within it, the importance of mental health and how they would like to improve services. The audience included representatives from local mental health charity Reach Across, as well as service users and an occupational therapy student, with Leigh now hoping to run a similar event in local schools. Following the event, which was held at Angus Carers Centre in Arbroath, Leigh said, “I wanted to provide a safe space where young people and local charities could watch and digest the film and then talk openly about the issues facing them, what helps them, and what they need. It’s absolutely crucial that young people especially know that they’re not alone and that many others are going through the same thing, and thinking similar thoughts. Leigh loves spending time with her dog Teej, who she describes as her ‘therapy’ and also attends Art Angel in Dundee, a mental health advocacy charity which uses creative writing, art and photography to help people who are struggling with their mental health to communicate and express themselves. Leigh, third from the right, with those who attended yesterday’s event in Arbroath. Hi! I am Sandra from Reach Across, a new charity based in Arbroath. I lost my son Ross Ramsay, to suicide and I felt driven to launch the charity to support people affected by suicide. We recently opened our own premises! Very exciting! I attended ” Foolish Optimism” in Arbroath and just want to let you know how proud I am of Leigh and what a fantastic article I read in the Courier. Leigh is inspirational. I have no idea how your email to my website was missed but can only apologise profusely. Thank you so much for taking the time to send this message Sandra. I wish you the very best of luck with the charity and have no doubt that Ross would be exceptionally proud of you. Best wishes, Claire.